Clemont Bishop, age 87, was born during the height of the depression on Valentine’s Day, 1932 and was called home on March 28, 2019 due to causes incident to age as he was recovering from a recent surgery. He was the last of 11 children born to Edwin Francis and Lillian Clark Bishop and was raised on a farm on 7th East and 9600 South in Sandy where the farmhouse still stands. Mont never had a bicycle and remembers his brothers using cardboard inserts to cover up the holes in the soles of their shoes. His parents were born in the 1800’s and were young children when the Salt Lake Temple was finished in 1893, before Utah was a state. By the time the Wright brothers flew in 1903, Mont’s father was preparing to serve a mission. Mont’s grandfather Bishop was born in Iowa and was an original pioneer, entering the Salt Lake valley in his youth. His grandmother Bishop was born during the Civil War and his Clark grandparents were born in England. Mont learned to be a farmer and a carpenter from his dad and brothers and built many homes. It was chores first – then play. His skills in building helped countless family members and friends. Mont was an avid hunter and spent time teaching those skills to his children. He loved sports and was a competitor in all he did. He loved baseball and basketball and was a starter at Jordan High in both. He met Yvonne in high school and by the time he could have played for Utah State he left the basketball court to come back to Salt Lake to court Yvonne. That was the best decision of his life. He was called to serve a mission for the Church of Jesus Christ of Latter-day Saints but was unable to go because of the Korean War. Mont and Yvonne were married in the Logan Temple on July 21, 1952. By the time he graduated from the U. of U. he entered the Air Force as an officer and served during the Korean Conflict at the Kirtland Air Force Base in Albuquerque, New Mexico. After the Service he returned to Salt Lake in 1957 and built the home he lived in the rest of his life. He entered the field of education where he taught at Irving Jr. High, Bingham HS and Hillcrest HS, and then became a principal at Jordan High. He battled cancer in 1971, and nearly lost his life to that disease but overcame it to raise 6 children. He had 31 grandchildren. All grandsons have become eagle scouts and all lived worthy to be called on missions along with many granddaughters. That alone tells you what kind of father he was. His family means everything to him. He was always willing to serve in the church and was known as “Bishop Bishop” to many. He treated Yvonne like a queen. She was the “sparkle in his eye and the lilt in his step.” He bore a strong testimony of the Gospel of Jesus Christ and lived by example. He held a Masters Degree in Education and was the first principal of Alta High and an administrator for the Jordan School District. Mont held multiple titles simultaneously for the District as the Director of New Construction and Land Acquisitions, Maintenance, Bussing, Food Services and Security as Chief of the Jordan District Police Dept. He retired from Jordan District in the position of Assistant Superintendent so he and Yvonne could serve as Directors of the Visitor’s Center in Independence, MO, from 1993 to 1995, a mission that was a highlight of his life. Mont was preceded in death by his wife, Yvonne, whom he deeply loved and missed in the years since her passing. What a blessing to be with her once again. He was also preceded in death by his parents and all 10 of his siblings but 1, his sister Beth Sainsbury Jensen. He is also survived by his 6 children - Kelly and (Doran) Lybbert, John and (Elaine) Bishop, Matt and (Louise) Bishop, Michelle and (Greg) Behrmann, Charisse and (Doug) Holyoak and Shari and (Gary) Hubbert, 31 grandchildren and 75 great-grandchildren. Viewings will be held on Thursday, April 4th in the evening from 6:00 – 8:00 PM and Friday April 5th from 9:45 to 10:45 AM at the Indian Ridge Chapel on 9636 South 1700 East in Sandy, Utah. 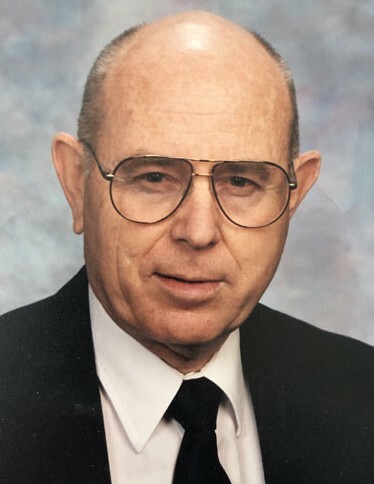 Funeral services will be held Friday, April 5, 2019 at 11:00 AM in the Indian Ridge Chapel, followed by the interment at the Sandy City Cemetery located at 700 East and 90th South in Sandy, Utah. A luncheon will be served for family and friends upon returning to the chapel.